North Korea responds by saying that the act was "a grave provocation little short of a declaration of war." 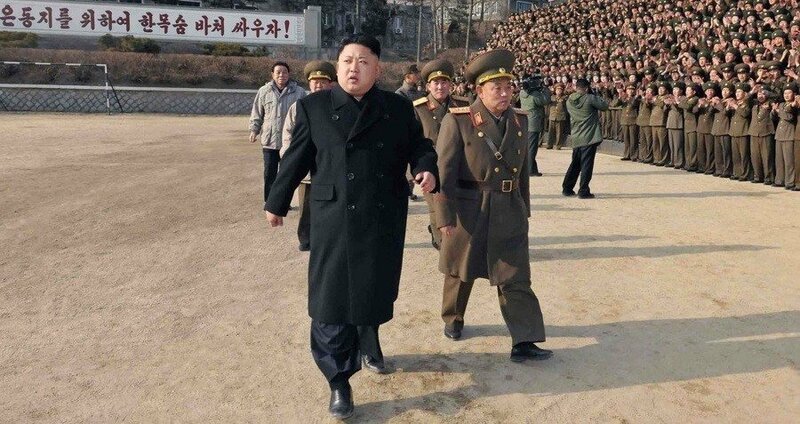 KNS/AFP/Getty ImagesKim Jong-un (front left) in 2014. McCain set the “hermit kingdom” into a tizzy after uttering those words earlier this month on MSNBC, telling Greta van Susteren that the “crazy fat kid that’s running North Korea” could not be trusted. To add insult to injury, Republican Senator Ted Cruz recently made matters worse when he and several other members of Congress introduced a bill to that re-classified North Korea as a state sponsor of terrorism. Next, read up on Kim Jong-un’s cheese and wine habit, before finding out about the female agents that assassinated his brother with poisoned needles.